I recently visited Sri-Lanka after a two-year spell. Pleasantly surprised to see that people are happier and no apparent tension among the citizens which is a healthy situation in a democracy. They are very free to express their views and the media seem to be freer. There is a general euphoria among the citizens. People talk about ease of transport due to excellent road network. Mobility to the masses gives another dimension to their thinking and living, which is good for the nation’s march towards development. But roads alone cannot solve the country’s problems. I spent a good part of our holidays, in the hill country learning about the lives and times of the people from the plantation sector. They have been in the Srilanka for almost close to two centuries They were the backbone of the nation’s economy and contributed to the balance of payment for a long time. Today in the second decade of the 21st century their livelihood has not changed any better compared to the other communities. This have been acknowledged by all parties. Some people would rightly argue that these forks have the universal franchise like any other citizenry of the land and what stops them from bettering themselves. I have no qualms about their line of thinking and argument. But their problem does not stop at them exercising their God given right to vote at elections. Let us look at the big picture. The only hospitals (base) in the plantation sector are the ones built by the British in the 19th century and early part of the 20th century. Not even a single additional room had been added to these outdated colonial buildings. Patients end up attending private clinics seeing doctors, they call them Vps, God knows why. Paying a lot for consultation and medication. How about those who could not afford or too ill to travel long distances. Admittedly this is also the picture in other parts of the country, but not so prevalent. Here is a classic case. In June 2011 foundation was laid by no other than our present President Rt.Hon. Sirisena for an Indian government financed, modern hospital in Hatton (Dickoya). When we had a programme in Kotagala in February 2014 the then Assistant High Commissioner Kandy Hon. 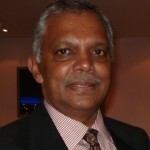 Natarajan was our special guest. When he was asked as to when the new hospital complex would be opened, he said it would be opened in April 2014.Here we are in March 2016 there is no sign of the hospital being opened in the near future. It was also said that when the Indian Prime Minister Rt. Hon. Modi visited Sri Lanka in 2015, he would open same. He never visited upcountry let alone open the hospital. One wanders, why? Your guess is as good as mine. There are anecdotal evidences to say that they are so marginalised and unrepresented that they are outside the radar and anything is possible. This is the sad fact of life for the estate community. Surely there is enough representation from the plantation sector to force a debate on this issue. They would rather be yes men to safeguard position they hold dearly and beneficially. They do not want to upset the apple cart. If they do, they would be simply dumped! I was very much taken up by the recent media reports saying that $690million spending is on the pipe line for the development of above community. This is what prompted me to write this article in the first place. I must congratulate the present government firstly for acknowledging the fact that social indicators of well over one million strong plantation community in Sri Lanka are well below the national standards. I welcome the proposed five-year plan. What concerns me is the fact that the administration has no money in their coffers even to service the loans the previous government had borrowed. I want to pose a simple but relevant question, where are they getting the funds to execute these projects. Is it another paper promise just to please the electorates . I sincerely hope not. These citizens as I have said and acknowledged by the majority as being the backbone of tea exports earning around $1.5billion annually representing about a quarter of the country’ total export does not seem to see any light at the end of -the tunnel. It is time their grievances are addressed. I was also consoled by the fact that there are people from all spectrum of the political, social and ethnic divide, who are genuinely interested and working hard to improve the living conditions of these people. I am also not so certain than their problems can be solved in five years flat. However, we can lay a solid foundation and set aside funds ring fenced for this project and not be tampered by the changing times and by change of governments. If a programme of work planned and executed with the principal stakeholders forming part of the delivery team it will be a win, win for all parties. A happy and acknowledged workforce will be a tremendous force in the making in a modern and vibrant Sri Lanka. Tea as a drink need to exploited further and innovating marketing strategies developed to meet the challenges, trends and aspiration of the modern consumers. Look at the case of Coffee. Coffee consumption has been doubling in every five years in recent times. From my observation and numerous dialogue with a cross section of the community in and outside, I have come to a conclusion that one of the main stumbling block this communities’ progress and advancement have been the lack of adequate education facilities and opportunities. “Education, education, education alone. Education is not the amount of information that is put into your brain and runs riot there undigested all your life. We must have life-building, man-making, character building, assimilation of ideas leading to nation building” Swami Vivekananda. There are no Vocational training centres available to those who want to learn a trade and be part of the highly needed skill pool of the nation. By the way, one or two that were established partly to address this issue is no more operational. I must also haste to mention that these facilities contrary to popular beliefs were donor funded projects, in spite of being called so and so owned. The tragedy is that when governments change these projects are neglected and in majority of the cases abandoned, leaving the trainees in midstream. This should never be the case. These must come under a government department similar to other technical and vocational training centres. The stakeholders should also have a key role to play. They cannot and should not leave others to solve their problems. It is the easiest thing in the world to walk away. Again the adult population have no available resources to seek help and guidance. They should not allow politicians to decide their fates and the future of their youngsters. Far too much is at stake This is why I have said education at all level of the society is paramount to a vibrant society and social mobility. Foretold is forewarned. Ignorance is no bliss to these down trodden masses. They are no second class citizens. They have every right to be there and demand and be given what is long overdue. I am certain that there is enough educated and talented people in the community. These people should offer their services to be part of the team to uplift and make them walk tall. There are also enough volunteers and supporters from outside the confines of the estate communities. In this knowledge based period of our life in planet earth its time that the nation should take pride in giving the rightful support to the educational, socio-economic development of the plantation sector community, the nation had forgotten for a long time. Better late than never. I am a strong believer of the goodness of the human spirit which is beyond colour, creed, religion or ethnicity. When the nation harnesses the latent talent of all players in the scheme it will be a win for all. Well, the “disenfranchisement” story of Tamils are yet to finish. There are over 100,000 Tamils in Tamil Nadu without a franchise. They have languished there for well over 30 years in squalid concentration camps without permanency there. Its quite a weird situation too. The person who is responsible for this situation is SJV Chelvanagyam’s own son. SJV Chelvanagyam pretty much started the ball rolling where he wanted to give citizenship to Tamils resident even for less than 7 years. We wasted 60 years of productive life in Ceylon over this Tamil fiasco. However, his own son does not intervene or engage in Satyagraha and the like when Tamils do not get citizenship in own Tamil Nadu! So in all fairness follow the same standard you followed in SL. Make sure all Tamil living in India for well over 30 years get their citizenship there. Thank you for info on the SriLankan Tamil refugees in TamilNadu. Thank you for the info on the current situation of the tea plantation workers – unchanged for ages – successive governments and all citizens should be asamed of. So all those who voted for Good Governance have a lot more spadework to do. How is that no one has ever proposed dual citizenship for all Tamils? Let my Tamil brothers and sisters have the freedom and choice to live anywhere in Sri Lanka and Tamilnadu. Hindia is going beyond your aspirations. Hindians are seriously considering the possibility of removing all travel barriers between one of its own state (Sinhala State of India) and rest of Ahand Bharat. Recently Hindians have introduced Visa at airports, planning to build bridge between Rameshwaram and Thalai Mannar (this time around Lankies are allowed to be part of the builders), Ferry services, …….. currency swap, ….. The idea has been mooed in the long past. But there was no serious political follow-up. The bulk of he Tamil diaspora in Europe, N. America and Australia are not likely to be interested in dual nationality (even if it is “Tamil Eelam” I dare say). There could be those interested in investing here, who will like to hold dual nationality. As for those in India, most have no formal status as citizens. There are many without refugee status but allowed to stay on. They will like to return if life promises to be safe and secure. Your suggestion is most healthy and can help to unite the country. A vital subject but the writer does not address the problem. Over the last forty years, the respective “management companies” (the GOSL, Indian companies, RPAs etc just never addressed the issues. I have seen a cycle evolve over the years as production began to drop, caused at the start by poor supervision by politically appointed “managers”. manure application and pruning deteriorated followed by poor weeding and deep “scrape” weeding, lack of draining etc. Root-suckering and de-ferning is not heard of. Labour began to get disgruntled and sought employment in other areas like domestics, shops etc. he unions clamour for higher wages but the RPCs, who are aware of their own cash-cow will only try to involve the Government. Its a deadly cycle. It is quite impossible to turn this round and perhaps we need to take radical steps to change the “ball-game” so to say. In the early 1972/3, the tea plantations in Indonesia faced a similar problem and the Indonesian government got financial support from the World Bank to re-habilitate their estates. Whittall Bousteads Ltd, the well-established plantations management company won the award. The late Peter Uglow was one of those who went to Indonesia for this project and he told me that several estates were so depleted of labour, and the land fallow and abandoned facing very similar problems as we do now. I am aware that many of the best estates in this country are now in a state of neglect. I suggest that areas from these estates are given-over to the labour to cultivate whatever they wish, even vegetables, fruits, potatoes, keep cattle etc. Even in those days, these workers showed a greater interest in their small vegetable gardens and cattle sheds than the estate work. They may also cultivate tea. Let the localised RPCs act as collection agencies for the produce. Then the labour are responsible for their own well-being. What the writer says about hospital services, line-rooms, labour welfare etc is true. But can he or anyone say, in realistic terms HOW we can overcome the all important aspect of CASH or unavailability of that important commodity?! Neither the GOSL nor the RPCs will invest as they know the returns will be nil!! It was grave mistake to have nationalized these estates in the early ’70s but now, no one wants them as they are like an albatross round our necks. Many of the points made are agreeable. The plantations, however, survived post-nationalization misdeeds fairly well. It was after privatization in 1990s that there has been gross neglect and damage to assets. THANK YOU Mr Nadarajah, for your timely and comprehensive article. These people, like many in our land, are creatures of circumstance. Over the years they have suffered unnecessary hardships. They deserve better. It will be not a minute too soon for us to reverse their fortunes, and treat them with fairness and respect, and give them the same opportunities as we demand for ourselves. I am sorry I have to ask you this, why do most of the Sinhala speaking women look like women in the picture above? Why is that TNA is insisting Tamils to be recognised as a distinct ethnic entity? Do not the Sinhalese and Muslim political leaders see the Sinhalese and Muslims as distinct ethnic entities? It will make more sense to address the question to the Dept of Census and Statistics. On the contrary, the bigots want the entire island to be converted into a Sinhala/Buddhists ghetto. I am happy that you people see this as a stinking ghetto. NV, You are doing a great service to Sinhala Buddhists. I wish to see all Tamil speaking children educated on the true genocidal nature of Sinhala Buddhists. Hope at least ONE will leave this ghetto. Your technologically advancing, economically speeding paradise of democracy and equality is just 20 milies across. It would be much easier if the few Sinhala/Buddhist ghetto builders left, gone back to their ancestral homeland, south India. When you go take the clan, Dayan, Ganapathipilla, Vasu, Dinesh, Somawansa, Champika, …… and their b***s carriers, …… with you. The rest can live happily ever after. After independence, money off the hard work of the estate laborers, was used to rehabilitate Sinhalese. These were the very Sinhalese who were driven off their lands in the first place, for British to make money though the immigrant estate worker scheme. Money from the hard work of the estate laborers was also used to fight the terrorist war. Now money off the hard work of the estate laborers is being used to pay off debts for the roads and bridges. Any refusal to work on their part, through strikes, comes to no avail. The only thing that can come out of strikes, is their union leaders assuring them to continue working for the bubble of the separatist agenda. How much cheaper it will be, if the Sinhala Gosl, once and for all, implements a plan to keep these people in good condition. They don’t need pie in the sky education system. Besides improved housing, decent medical and retirement packages, they will also need an education that will enhance their experience as tea workers, and boost up their confidence, for themselves and their progeny. As with their other counterparts who dwell off the land, like the farmer and fisherman, they should gain appreciation from the toil of the land. No money from the plantation surplus was used to rehabilitate the Sinhalese peasantry. The money lined the pockets of estate owners and agency houses and the revenue helped to spoil the urban middle class. Also, most of the plantations were set up in newly cleared hilly terrain. Your history lessons begin to sound rather like Izeth Hussain’s. It is good to research with an open mind before making generalizations. Also, please do not try to decide what a people deserve or need. Sri Lanka’s main economic industries at that time were the tea and rubber industries. Where else did the money come from to rehabilitate nearly one-million displaced Sinhalese? Besides the pockets that were lined (e.g. apple orchards in Australia), a lot of country development occurred because of these industries. Sinhala people certainly lived even within those hilly terrains. They lived on village networks of terraced farms. They were not commercial enterprises, but of self-sustaining livelihood. They were no accounted for by the British census bureaus, but chased away to become beggars. I know it is quite pointless telling you, but the entire population of Sri Lanka in 1870 was about 2.5 million. So 1 million Sinhalese could not have been displaced. It certainly would have been quite impossible to count Lankans in those olden times. Some British would have found it impossible to trek up forest paths, and brave leopards and snakes to count Lankan heads. And in the midst of setting fire to forests to smoke out the Natives, they certainly weren’t counting heads. Dear lady, I suppose you have this amazing gift for producing population stats which even the British didn’t have, a full 150 years after the event. Really, how do you do it? Do tell us simple souls. Yes, of course they created the plantations without shooting the leopards and climbing mountains. It’s simple Old Codger : just count the Sinhalese who were rehabilitated, and one gets a good idea on true demographics. Once a fire was lit, that took care of all the leopards and snakes. The fire moved uphill and downhill in rapid progression. Any snakes than leopards who came pouncing out, were shot at by White Rajas (some Natives were eaten). Snakes…..well, that explains the explosion of snake population in other areas (previously all animal and humans lived in equanimity with each other). Moral of the story : British statistics need to be taken with a pinch of salt. Furthermore Old Codger, census bureaus (British and Lankans working for them), only took into account, Lankans working productively for them in their communes. Beggars the were created by them, were not counted. Sinhalese forced into slum conditions in the cities were certainly not counted. You really think the estate workers are having it too easy? Don’t you know the highest incidence of child mortality and malnutrition is among estate workers? The Sinhalese like to enjoy the benefits of a profitable tea industry, but would themselves prefer a nice desk job or one with a fancy uniform, or at the very least, slavery in an Arab country for the wife. An honourable wage by Sinhala standards is not compatible with a functioning industry. I don’t know if you are old enough to remember, but it was ITV in UK which exposed the living conditions on estates in about 1972. That’s when the govt. started finding its conscience. Foreign pressure always works. What part of Ratnam Nadarajah’ s essay don’t you understand? //After independence, money off the hard work of the estate laborers, was used to rehabilitate Sinhalese. What a vivid imagination you have! Do tell me what you have been smoking? Guess it’s the part you don’t want to admit that the Sinhalese were displaced from their lands, and suffered immeasurably. In this era, they have been rehabilitated. But that cannot justify the detriment to over one million Sinhalese who lost their livelihoods and dignity for several generations. This does not mean that the Tamils had any blame in it. They too had to suffer the ignominy of the British era. All facts have to be looked into. I do know that Sinhalese were displaced. What I am disputing is your numbers. If Gamini Dissanayaka rehabilitated 1 million Sinhalese in 1978, how on earth could there have been the same number in ,say, 1870? Get real, lady, it couldn’t have been more than 100,000. Again I say Old Codger : Statistics of the time were not representative of reality. Indeed they would have been more than a million at the time. People were killed, and families and displaced in slums and shantytowns of the cities. They wouldn’t have had quite as many offspring as when they were living so happily in their villages. Medical treatment and vaccinations came to them only after the 1980’s after they were rehabilitated. Ramona, What a vivid imagination you have! Do tell me what you have been smoking? She used the phrase “communal pot” somewhere in this knotted thread. The population in the Hill Country was not near that at the time. Have you factual information about the plantations in the Tea Country? Do not let your prejudices drive your imagination wild. It makes you sound more like Izeth Hussain. Read some serious historian not any old rabble-rouser. The traitors were those who got titles and massive extents of land under the Brits– some of them “national leaders”. It started with coffee. Then there was the coffee blight. The only industries to develop were based on tea. There was no national economy and no thought of it. Historical records cannot give us much detail. Counting people was never accurate, if they did so at all- it was not a modern era census bureau. British started taking head counts only after their commercial activities commenced, and they had further organized their systems. What we can look at is that nearly 1 million people were rehabilitated by people like Gamini Dissanayaka. Successive governments after independence rehabilitated a few millions. Large parts of the UVA province was destroyed by the British r, and resettled afterwards with tea and rubber plantations. Besides UVA, were the other hill country and mid-county sections that were cleared for their plantations. IZH speaks nothing of what I say. Tempting to discredit me by what he says, cannot work. In fact your ad hominem arguments are very much like his. Instead of fact, or sensible logic that can give a good indicator towards fact, you merely speak of the other being prejudiced. If one has no recourse to reliable information it is wise not to make history out of gossip and hearsay. Where you began to resemble IH was with your disregard for historical facts and an unassailable faith in prejudices. Your earlier prescriptions for the plantation Tamils spoke volumes. If your wish is to stir the pot of communal hatred go ahead: it is still a ‘free country’. Your communal pot certainly gets stirred very easily. When factual reasons are given, you boil over unnecessarily. 2)	After independence from Britain, Sinhala people living in slums were rehabilitated in housing schemes, of which the money to do so, came from the tea and rubber industries the Tamil laborers worked on. Reconciliation and forgiveness between communities can only come, by each community understanding each other’s hardships, and working for a common purpose. Right now, the purpose is for the Estate workers to get a better share of the country’s wealth for uplifting of their livelihoods. 2)	A deliberate effort to kill the industries for the Sinhalese. Both of these Tamil aspirations are typical of the short-sightedness and lack of understanding of the Tamil community towards democratic institutions and the need for integration of different facets of communities. These Tamils lack awareness of other people and their need to survive, and in dealing with communities in democratic and humane ways. It is furthermore an intrusion into the lives of estate Tamils who have lived with the estate profession for generations, and who would prefer to live with the trade, as do their Sinhala counterparts live i.e. the farmer and fisherman, albeit in an improved and enhanced conditions. As per IZH – from his earlier articles, it is seen that he used innumerable situations to skew the argument towards federalism and/or complete country division, replete with an Indian invasion. However, in the presence of good counter-argument, he seems to have backtracked, and now blames it on racism from Tamils. Using such subjective personal analysis of IZH, moots decent objectiveness that can give a good solution towards National reconciliation. Yet another individual who cannot give good argument, but looks at all others potential of debate, and feels important with a final concluding platitude. I am not looking for “platitudes”. All I see are political, racist and offensive comments: any suggestions on how to make these estates productive and profitable? I agree– sad but true. That is the way things are in other electronic media too. At best, the first few comments are serious. You may have seen a few useful comments on another article a few weeks ago on tea. Then ill-informed digression, often provocative and even abusive, and pomposity get the better of useful discussion. not speaking of you, of course. Be cool, it costs nothing. There is a dysfunction in the way the plantations work. The British wanted maximum production at minimum cost. So Sinhalese workers were out, and Indians were brought in, who were willing to work for low wages. This was due to famine and drought in S. India. Whether this itself was due to British policy (like the Bengal famine of 1942) , is an interesting question. 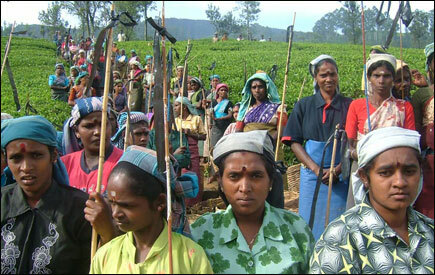 At the moment, the Tamil estate workers are more educated and upwardly mobile (due to moral compulsions on the part of the government)and demanding higher wages, and the Sinhalese are still unwilling to work in plantations. So the plantations have lost their cost edge vis-a-vis other countries. Either we should bring back slavery or hand over the plantations to the workers to do as they please with the land. That’s how I see it. Ramona T is at least not trying to camouflage her attitude, repugnant though it is! While Ranil is in China, how about requesting the Chinese government to supply cheap labour to man the plantation sector preferably the ones who are incarcerated criminals? Sinhala/Buddhists prefer Chinese labour to Indian one. BTW, SJ/Sekera too prefers Chinese. I remember reading that the British were in fact considering Chinese labour as they did in Malaya, but decided on Indians due to cheaper transport. Would we have been Singapore if that had happened? Thank you…I don’t mind being repugnant at all, as long as the truth can come out. You have put things in good perspective. However, what is Ratnam Nadarajah talking about, on the Estate workers suffering grossly? Guess Gosl must open out the tea-plucking trade as a trade-school course, and encourage a balance of workers not limited to a certain race. That, and honorable wage and living conditions above a legal minimum.